If you follow me on Twitter then you would know that I have recently started my Diet and Exercise plan again. – Wish me luck!! But yesterday I was craving my weakness… Crisps. 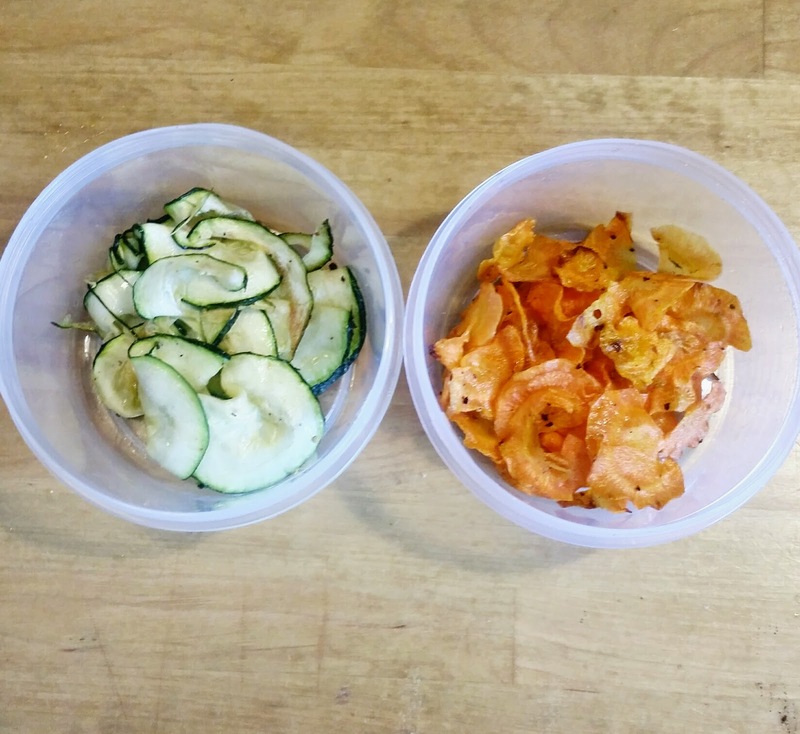 After some googling I came across Vegetable Crisps and the recipe looked so simple and quick, so I thought I would give them a go. I only had Carrots and Courgettes in my fridge but the result of these are incredible. So moreish. So moreish infact that I had to make a second batch straight away!! The two simple ingredients used in these beautys. 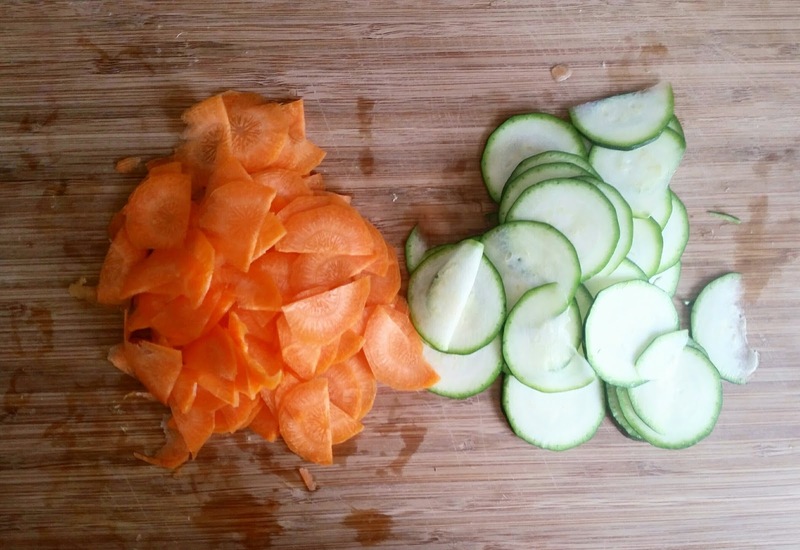 Cut both vegetables into thin slices. I used a vegetable peeler on the carrott to make extra thin slices. I may be a trained chef but even my knife skills aren’t that good. 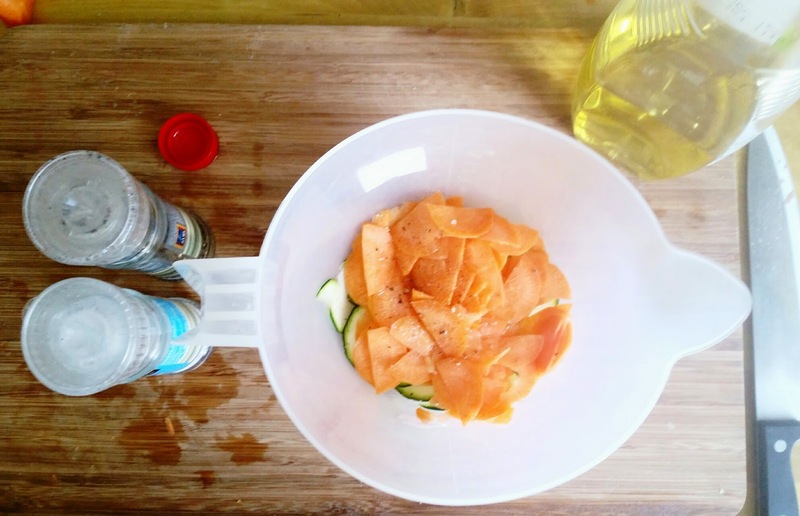 Coat the slices in a tbsp of oil, and season to your liking. You can add any type of flavouring at this stage. I went with the classic salt and cracked black pepper. 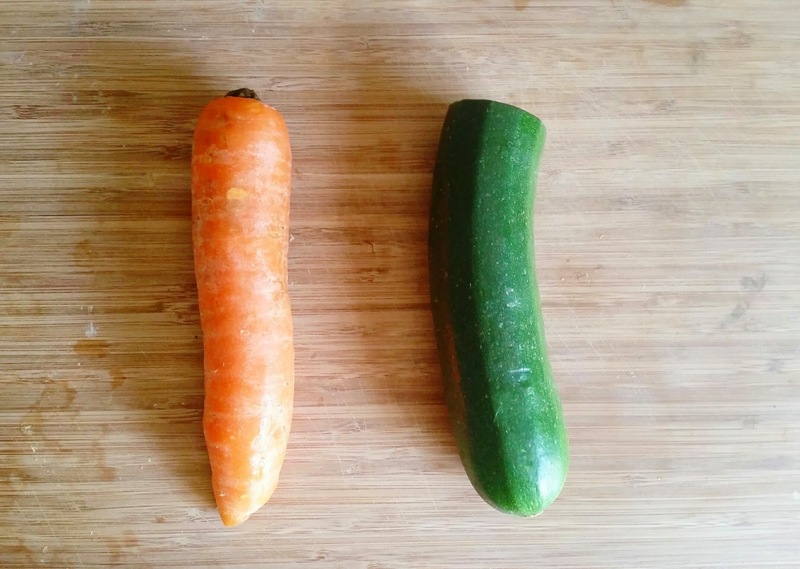 On baking paper, lay a single layer of vegetables. Be careful not to overlap as they will go soggy!! Bake in the oven at 170 c. For 10 minutes. Remove. Allow to cool. And enjoy. You can store these in an airtight container for a good few days- if they stay around that long!! Let me know your thoughts on these. I love hearing from you. It’s not quite walkers. But it’ll do.